[caption id="attachment_12487" align="alignleft" width="150"] Dan Bricklin[/caption] At the recent M-Enterprise Boston event, where 50 senior-level IT executives gathered with innovators in the mobile app industry to learn what is coming next and how to apply it to their business, Alpha Software CTO Dan Bricklin gave several interviews. This week, Brian Katz, Director, EUC Mobility Strategy, Office of the CTO at VMware, posted his interview with Bricklin. In the interview, Bricklin talks about what Alpha Software does, and the Alpha Anywhere rapid mobile application development and deployment environment enables people to do. He explains that Alpha Anywhere allows people who don’t know to program to build mobile apps that they can deploy on a range of smartphones and tablets. He talks about why low-code will radically change how companies can mobilize their business processes. Brickiln also discusses his recent Alpha WatchBench app for prototyping apps on the Apple Watch. The conversations gets very interesting when Bricklin and Katz go on to debate how hard it is to develop a mobile app. 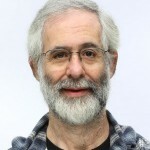 [caption id="attachment_12488" align="alignright" width="150"] Brian Katz[/caption] Brian Katz talks with Dan Bricklin, the CTO of Alpha Software. 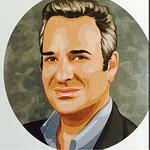 Dan is the father of the spreadsheet, as he created Visicalc. They talk about what Alpha Software is and some of the things they enable people to do. They are about allowing people who don’t know how to program to build apps that they can deploy on devices. They talk about rapid application development as Alpha Anywhere is a low code building system. They talk about Dan’s Watch Bench app for prototyping apps on the Apple watch. Brian and Dan then debate about how hard it is to develop a mobile app. You can hear the full interview here: The Mobilecast #221 – Dan Bricklin and Alpha Software To read one of Dan Bricklin’s latest posts on the Alpha Software blog, click here. To view how Dan Bricklin’s work is influencing Alpha Anywhere development, particularly advancements around mobile optimized forms, click here.